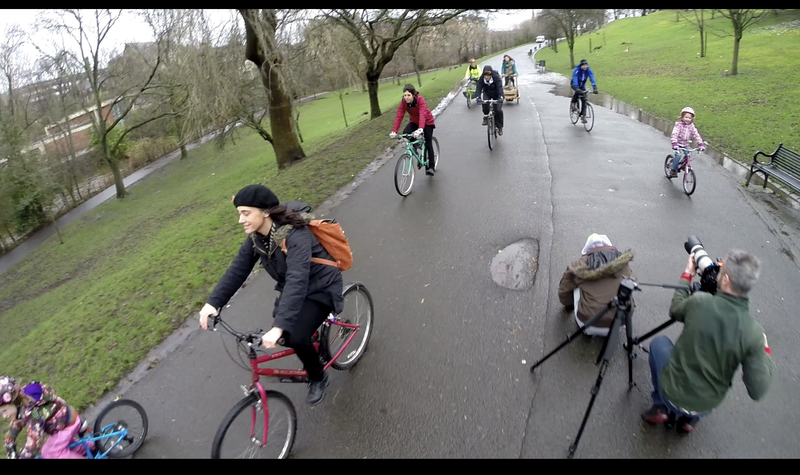 Filming something which is hoping to promote cycling and be a film promoting advocacy is hard enough to do without it being February in Scotland and without a forecast that looked to be a precursor for Noah to get building …. 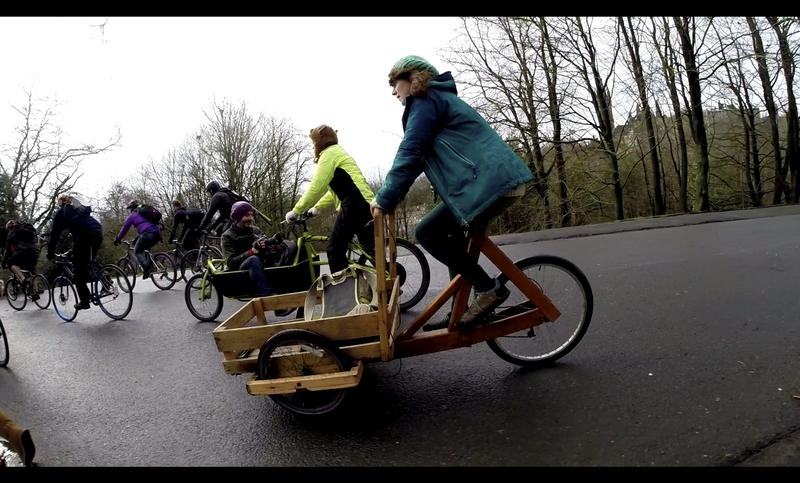 but never one to shun a challenge we embraced it and with 30 brave volunteers proceeded to do some filming. Often I look at a forecast and scoff when it might predict a break in the weather of an hour …. but hat in hand that is what was delivered and on time too. 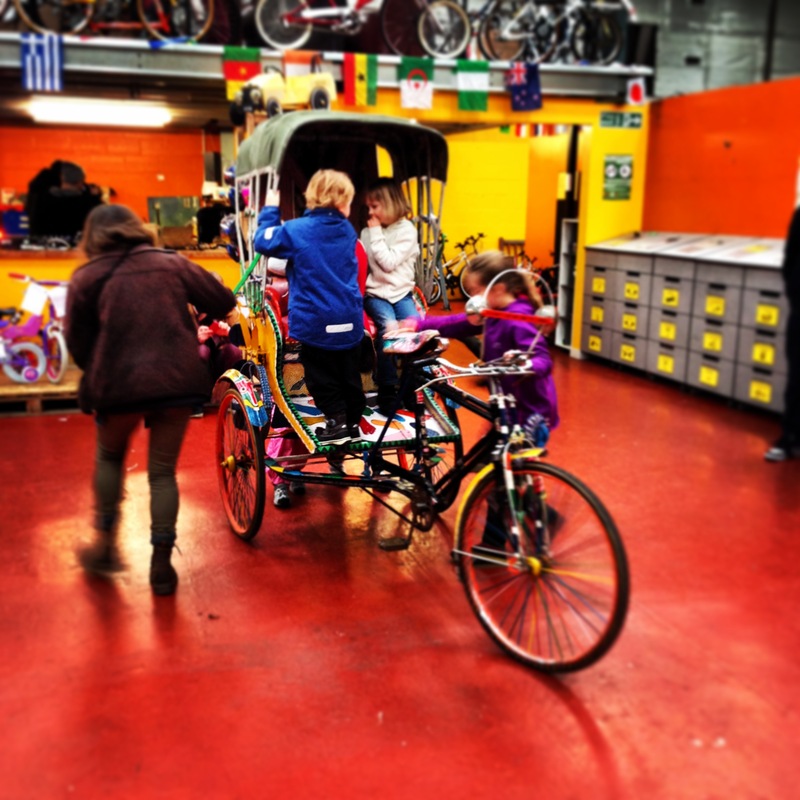 Then a move to second location which was luckily an interior ….. Glasgow Bike Station. whilst setting up the children involved in filming got mightily interested in the Rickshaw that is normally kept in a back room. If you ever need exotic 2 wheeled props then greg is your man. 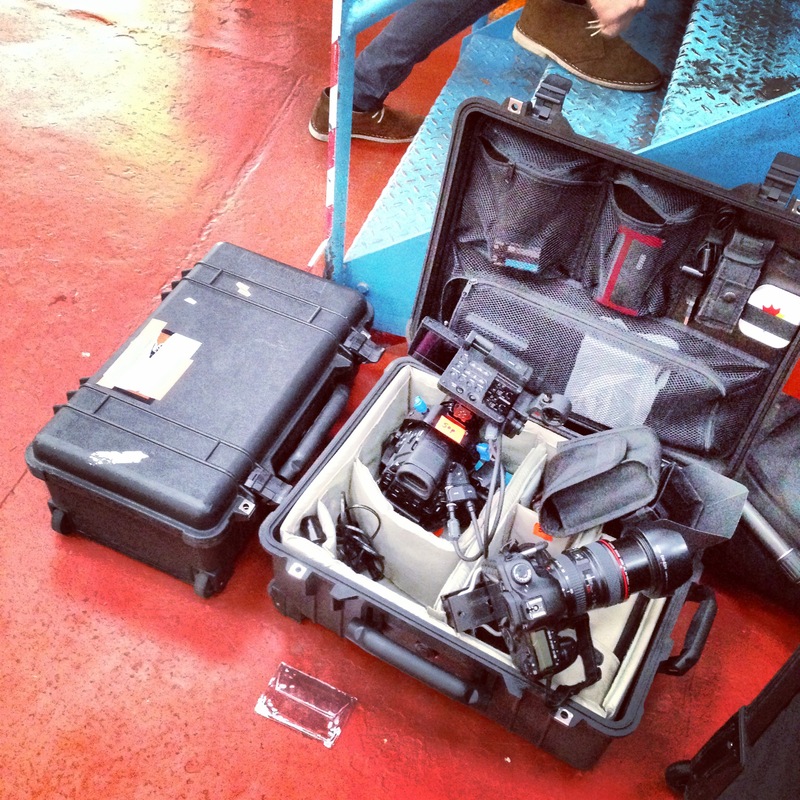 So now in the edit for the film – and utilising archive where I can .